1. Burdock: Burdock is known for it’s blood purifying abilities. It is highly regarded for its action in the urinary tract, being of benefit to the kidneys and bladder infections, inflammations and kidney stones. 2. Cucumber: Help to wash the kidneys and bladder of debris and stones. Studies have shown that eating cucumbers regularly helps to regulate uric acid in the body, thereby preventing certain kidney and bladder stones. 3. Celery: Promotes healthy and normal kidney function by aiding elimination of toxins from the body! 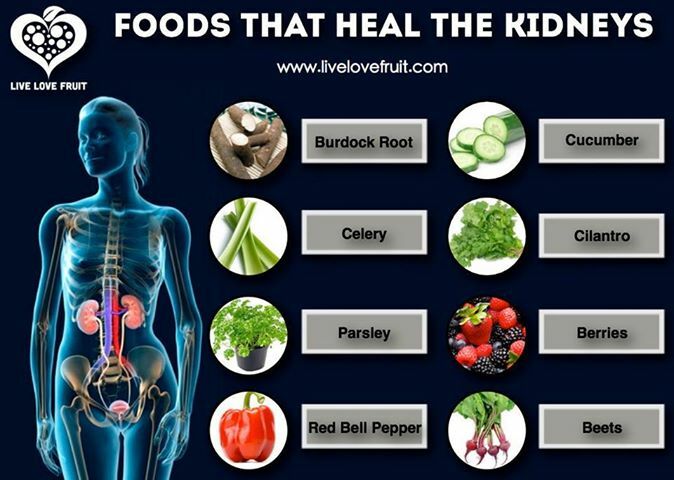 In fact, Hippocrates considered celery a medicine and recommended it for its kidney cleansing benefits. 4. Cilantro: Cilantro (Coriander) may help reduce the damaging effects of lead on the kidneys. Cilantro is also useful for removing mercury, a toxic metal that decreases the kidneys’ ability to filter and increases risk for kidney disease. 5. Parsley: Parsley is known as the best cleaning treatment for kidneys. It increases diuresis by inhibiting the Na+/K+-ATPase pump in the kidney, thereby enhancing sodium and water excretion while increasing potassium reabsorption. It is also valued as an aquaretic. 6. Berries: These yummy fruits with vibrant colours are really healthy food for your kidney. Be it strawberry, raspberry, blueberries and last but not the least cranberries all have their individual and collect functions that benefit the kidneys. Cranberry increase the acidic nature of urine thereby eliminating infections, blueberries are anti-inflammatory and raspberries help neutralise the impurities in the kidney. 7. Red Bell Pepper: Provide roughage from the fibre, Vitamin B6, Vitamin A and folic acid and also antioxidant lypocene that cleanses your kidneys.